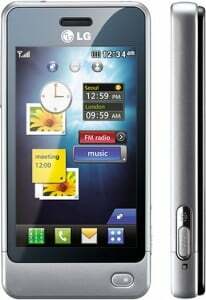 LG Electronics the leading Mobile Phone maker, introduces Full Touch Screen handset LG Cookie Pep (GD510) for Indian market at Rs.7500.The LG Cookie Pep will equipped with a compact 3-inch touch screen, 3 mega pixel camera, FM radio, media playback and Bluetooth. The model is having many eye catching features like Social Networking tool, Live Square for creating Avatars for different moods, Pocket Application tool and Just Cricket Application to watch Live cricket match which can easily attract the young crowd. 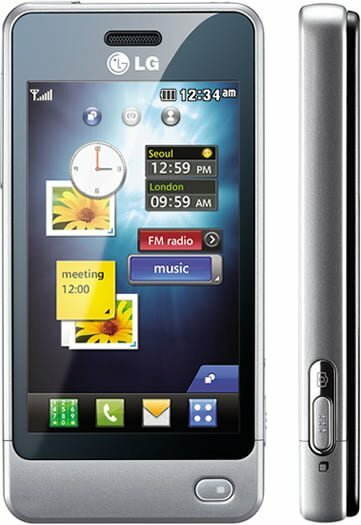 The LG Cookie Pep comes with 42MB of internal memory expandable up to 16GB with microSD.The cell phone is having number of social networking functions aimed at attracting the young crowd with fashioned from brushed aluminum adding to its sleek look. Mr.Skott Ahn, president and CEO of LG Electronics Mobile Communications stated “We gave the GD510 an optimized feature set, which allowed us to concentrate on making the phone more compact and simpler to use.” “The LG GD510 delivers all the essentials in communication, multimedia and entertainment and comes in a compact form factor as well” he added. 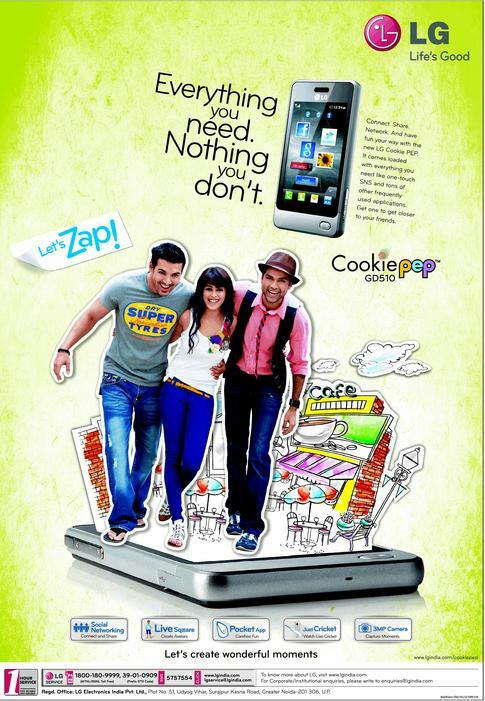 Recently LG India has roped in Bollywood stars John Abraham, Genelia D’Souza and Abhay Deol as brand ambassadors for the Cookie Pep. The Company all set to unveil a massive 360 degree marketing campaign soon.